While wind energy is seeing pushback in other parts of Michigan, a project in the Upper Peninsula — largely benefiting a single landowner — could prove even more challenging. Supporters say the 130 megawatt project near Lake Superior could bring badly needed tax revenue to the rural area, while opponents — including the Keweenaw Bay Indian Community — say it threatens the local wilderness. The Summit Lake Wind Project being developed by global developer Renewable Energy Systems is unique for Michigan. It would be sited on forested property owned mostly by one property owner: Weyerhaeuser Co., one of the world’s largest private owner of timberlands. Most wind development in Michigan is sited on agricultural land with lease payments spread among dozens of landowners. Researchers say these two distinctions are unique for wind energy in Michigan and likely will impact local attitudes toward the project. In addition to Weyerhaeuser, RES is working on leases with two other landowners with commercial forest property, a company spokesperson said. Brad Neumann, a U.P.-based senior educator for Michigan State University Extension, said there are “differing perspectives” toward the proposed project site. Additionally, the project is located on state Commercial Forest Land in L’Anse Township and territory ceded by the Keweenaw Bay Indian Community. Though private property, the public can access the land for hunting and fishing. The KBIC Tribal Council earlier this year signaled its opposition to the project. 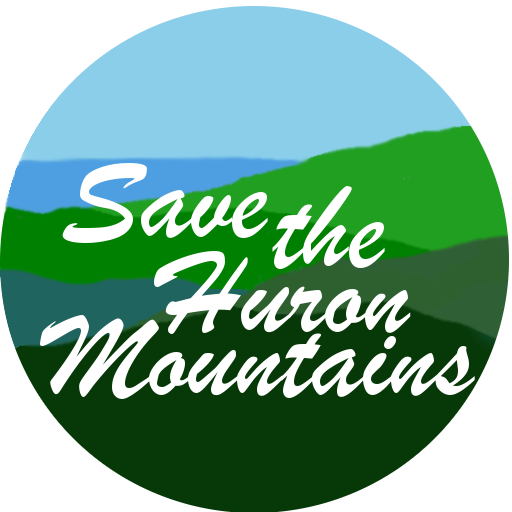 “We have no better hunting, fishing and gathering than on this chunk of land,” said Jeffery Loman, a KBIC member and member of Friends of the Huron Mountains, which opposes the project. He says the proposed site is unlike any other wind project in Michigan. “Among the opposition, everyone understands that the industrialization of those forest lands are the beginning of the end of economic possibilities associated with tourism,” he said. “It’s an anomaly, for sure. The U.P. wouldn’t be the first place I’d look” for wind energy. The 130 MW project calls for 49 turbines spread over thousands of acres near the McCormick Wilderness area of the Ottawa National Forest. The project includes plans for a 25-mile distribution line to connect with the area transmission grid. The company is completing wetland surveys and preparing an application to the township for a special land use permit. It hopes to start construction in summer 2019 and complete the project by the end of 2020. Rivera said the land in and around the project would remain accessible under Commercial Forest Land status and “any historical tribal rights, as it is today.” Improving roads as the project progresses will allow “better use by residents and tourists,” Rivera added. She said the company has had “ongoing conversations” with the community and tribal members since September 2017. “We have received input from various stakeholders and continue to evaluate those in concert with other project requirements, such as compliance with federal, state, and local requirements,” Rivera said. Weyerhaeuser owns and manages more than 560,000 acres of timberlands in Michigan to support the state’s logging industry. ‘Identifying new revenue streams on our timberlands helps to ensure it remains a working forest.’ He added that the “small footprint” of the project represents less than half of 1 percent of the company’s property in Baraga County. Meanwhile, critics have maintained formal opposition to the project. In August, Friends of the Huron Mountains filed an injunction challenging meteorological towers that were installed. In late October, members of the group began collecting signatures for a referendum on local ordinance changes that would allow the project. The plan is to hold a vote in May 2019 to abandon the zoning changes. L’Anse Township Supervisor Peter Magaraggia said there has been confusion among local officials over zoning rules and special land use permits needed for the project. He declined to give his personal opinion on the project, but supports the referendum. “Let the people decide. This is a huge issue,” he said. Baraga County officials approved a resolution to support the project based in part on the opportunity for new tax revenue. However, Magaraggia says there are lingering questions about wildlife impacts, eventually decommissioning the turbines and whether the project could co-exist with the forestry industry. “There are people fighting this like crazy both ways,” he said. Mills, of the University of Michigan, has traveled the state researching local attitudes toward wind energy development, including a contentious project in the U.P.’s Garden Peninsula, which has faced multiple legal challenges from nearby landowners. The perception of wind energy in the U.P. is nuanced and not roundly opposed, Mills said. The region has a history of using land resources through mining and foresting, but there is also a “decent amount of conflict” over conservation and impacts on wildlife. Siting wind energy in general has become a “legitimate issue for Michigan,” Neumann said. Siting wind and large-scale solar projects will be an ongoing issue in Michigan, clean energy advocates say. Utilities like Consumers Energy are calling for a large-scale buildout of solar in the coming decades, which comes as communities in eastern Michigan are increasingly skeptical of wind development. Margrethe Kearney, staff attorney for the Environmental Law and Policy Center, spoke at a conference in Grand Rapids in October about siting challenges.